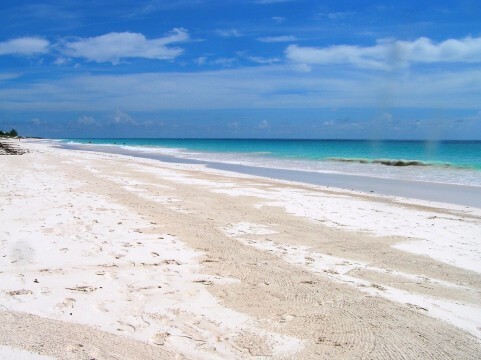 Harbour Island is one of the tiniest of what the Bahamas term the Out Islands. This petite Caribbean haven, located 60 miles south of Nassau, is where you’ll find the most pink sand, golf carts, and billionaires per capita in the world. 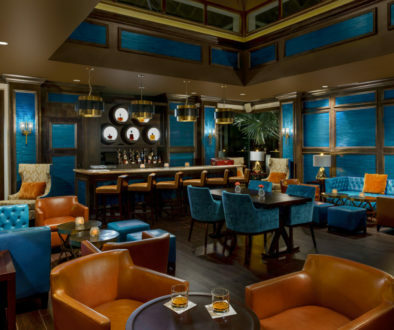 Harbour Island is also home to Robert Arthur’s diverse array of entrepreneurial ventures. On any given day, if Arthur isn’t behind the counter of his family bakery, he’s showing million-dollar homes to real estate clients yearning to plant roots on one of the most photogenic settings on the planet. Arthur’s home-base is just three miles long and 1 ½ miles wide. Vacationers are drawn to the island’s ring of plush pink sand and a neighbor-friendly interior where golf carts are the preferred mode of transportation. 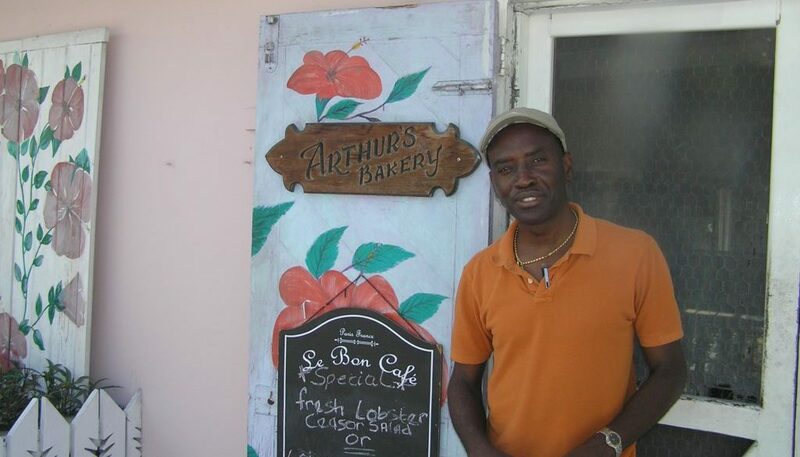 Arthur’s business roots trace to 1992 when he, and his wife Anna, opened Arthur’s Bakery. 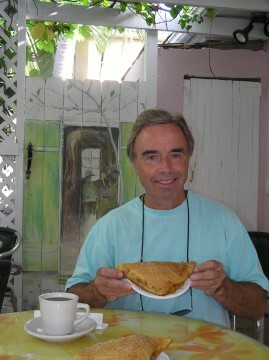 Mere weeks after opening their store featuring items such as cinnamon raisin bread, lemon tarts, and every type of muffin under the Bahamian sun, Hurricane Andrew slammed Harbour Island with 165 mph winds. “Andrew completely flattened the island. We had no electricity and no water. The business owners on the island formed a Hurricane Relief Committee for the island’s 1000 inhabitants. Our bakery became a soup kitchen,” Arthur said. The Arthur’s efforts helping others, as well as their culinary expertise, would not go unnoticed. Shortly after Andrew hit Harbour Island, the U.S. military arrived to assist in the island’s rebuilding efforts. The military brass in charge of coordinating relief efforts favored the Arthur’s cooking over their standard military grub. Satisfying the military’s appetite would prove to be a turning point for the fledgling entrepreneurs. “We ended up signing a six-month contract to feed the U.S. military. This contract enabled us to make our payments and re-open the bakery. I guess what happened with Andrew is a case of one door closing and another opening up,” Arthur reflected. One year later, opportunity came knocking again. The Pink Sands Resort re-opened its doors on Harbour Island. The biggest hotel on the island needed bakery goods and they tapped Arthur’s Bakery to fill this need. 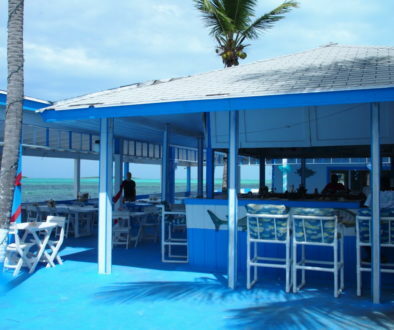 “The Pink Sands was a big time commercial contract to go along with our retail business. This partnership enabled us to turn the corner as a business,” Arthur said. About the same time Arthur’s Bakery began to flourish, “a hippie couple from Minnesota” began talking to Arthur about something called the Internet. Whereas Arthur’s wife Anna has a nose for the best baking ingredients, Robert has a sense for when a business opportunity presents itself. “We became Cable Bahamas first Internet customer,” Arthur said. 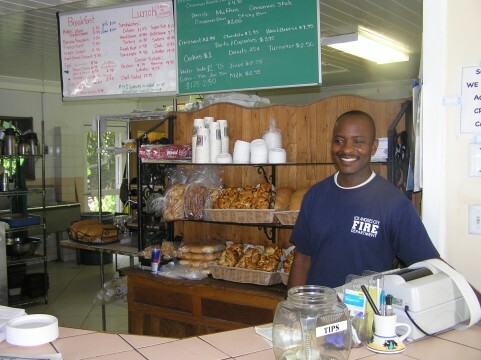 In addition to Arthur’s Bakery becoming one of the first Internet café’s in the Caribbean, Robert also saw the need for developing a website, for his business, and Harbour Island. I also added www.myharbourisland.com. I began writing content for the site myself. Deep-pocketed vacationers began falling in love with this destination where finding a rooster crowing on your neighbor’s doorstep is as likely as rubbing elbows with a Super Model in the local grocery. The combination of small town flavor and pristine pink sand beach made Harbour Island an irresistible choice for those affording a Caribbean real estate retreat. “In the mid 90s’, there were only two realtors on the island. Both individuals said “no” to taking on the real estate component to our website. I reluctantly decided to go into real estate myself,” Arthur said. As the real estate market took off, Arthur found his previous career, working behind the scenes for a Miami television station, as solid training for his new profession. “In my early days in television, I worked for the Miami TV crew handling Monday Night Football. More than once I wired Howard Cosell for sound. Howard didn’t have much patience dealing with a kid barely out of high school. Looking back, the network TV environment helped prepare me for doing business with an uncompromising high-end real estate market,” Arthur said. 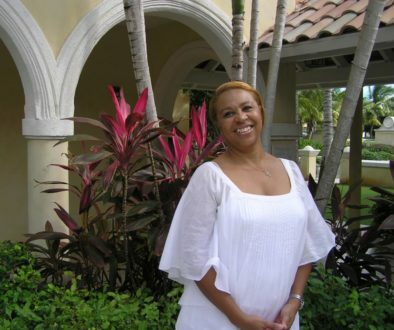 Harbour Island as a real estate setting attracted the eye of HGTV’s House Hunters International. Arthur found himself working again in television, this time with Caribbean real estate as his home turf. “I’m actually in two episodes of HGTV. The first time was the most memorable, because the person buying the house was a real character. He is a local restaurant owner and a bachelor. The multi-million dollar oceanfront home he bought was probably the first time where an HGTV home purchase looked worse when the TV crew came back six months later,” Arthur said with a laugh. Arthur’s key ingredients to business success aren’t as closely guarded as his wife’s recipe for making banana pancakes or lemon meringue pie. “Basically I treat people honestly and with level of service that every customer deserves,” Arthur said. The cornerstone to Arthur’s business philosophy can be traced to something his grandmother reminded him continually as a child. “My grandmother always told me to “walk good.” For her, “walking good” meant if you take care of others, life will take care of you,” Arthur said. Walking good is a mantra that works well in a bakery, on a web site, or selling real estate. Like a bakery offering the best cinnamon raisin bread in the Caribbean, if you “walk good,” the customers will keep coming back for more.